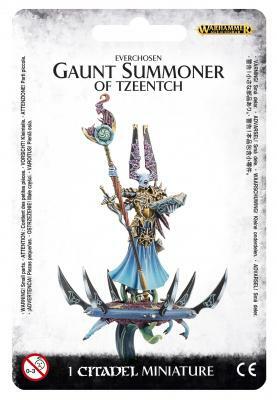 Contains all the parts necessary to construct one sinister Gaunt Summoner, riding a disc of Tzeentch. Wielding a Changestaff and a Warptongue Blade. Eighteen components in total, with a Citadel 40mm Round base.